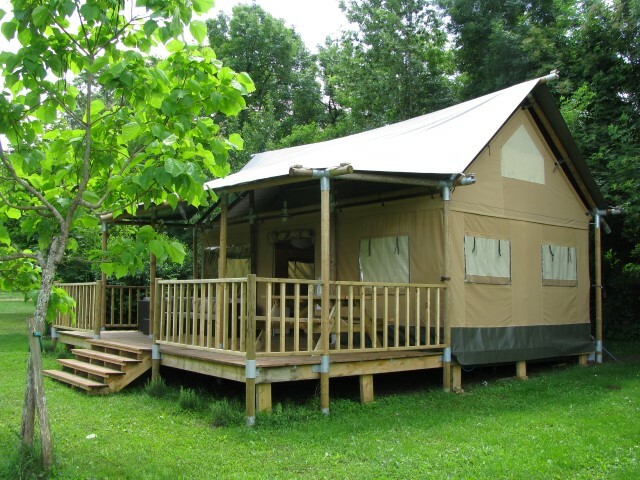 Our beautiful lodge “le Hibou” is a spacious and attractive home for up to 5 persons. 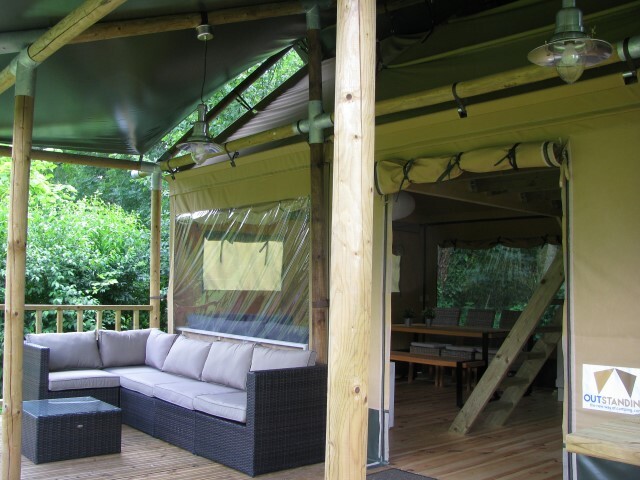 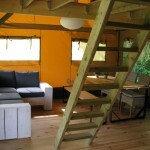 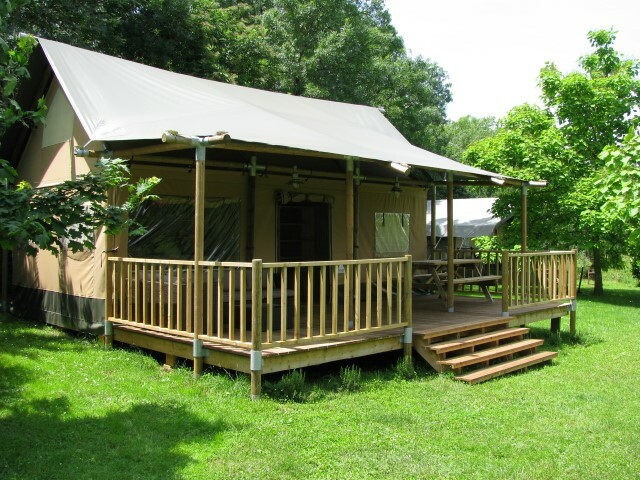 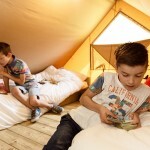 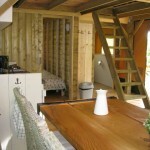 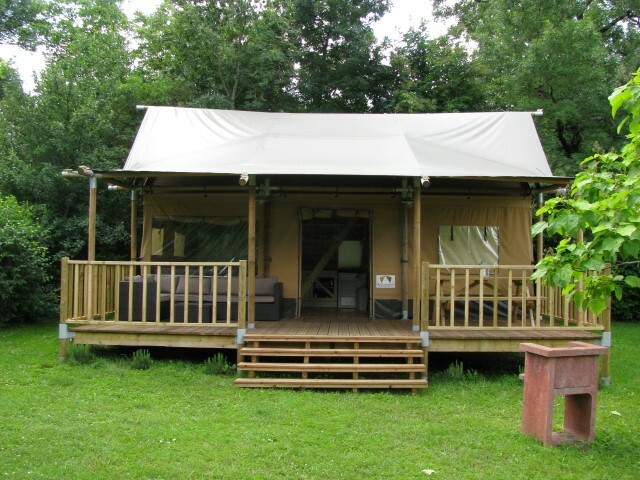 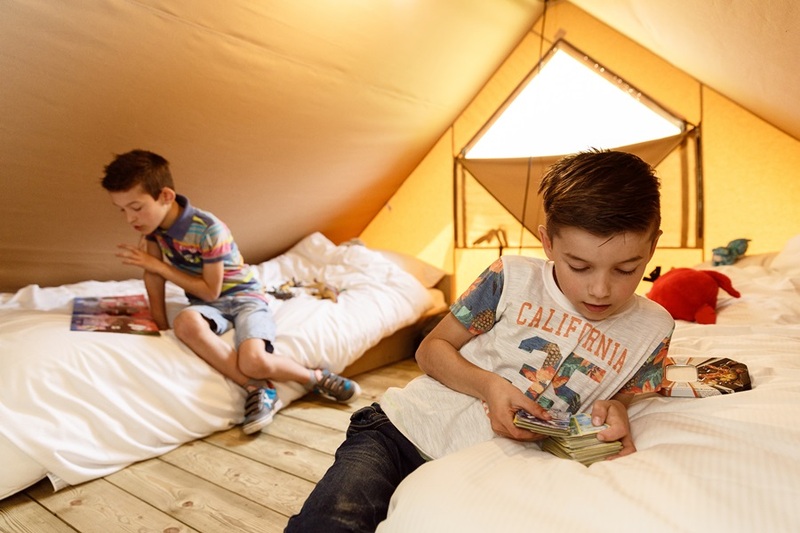 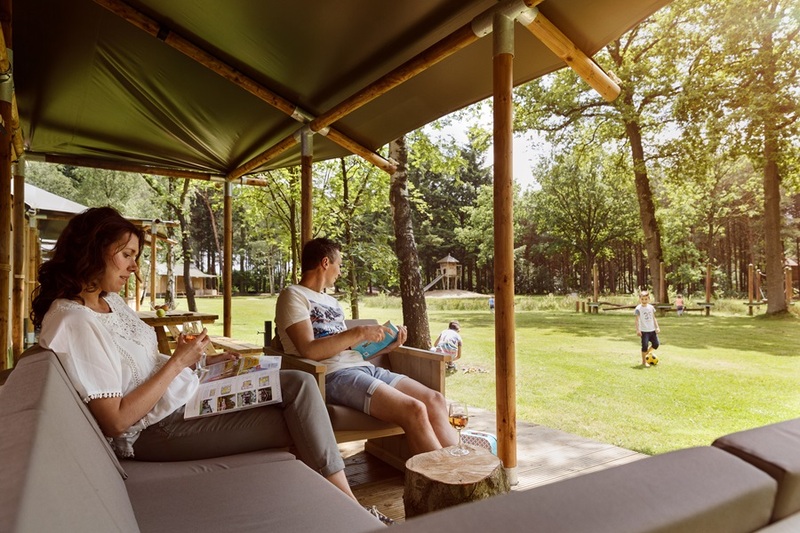 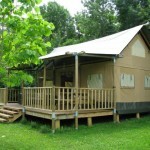 The lodge, made from wood and canvas, is a sustainable, durable construction and designed for outdoors-oriented accommodation situated on our campsite and still having lots of comfort. 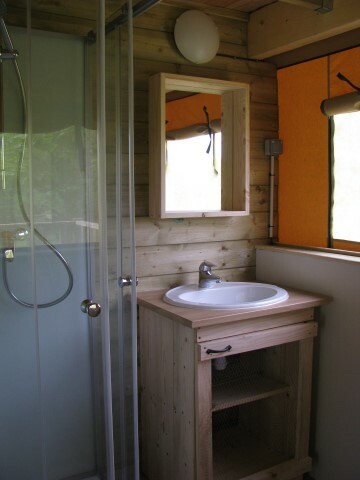 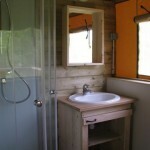 In the lodge, you will find a bathroom with a washbasin, a shower and a toilet, as well as a fully equipped kitchen with a dining area for 5 persons. 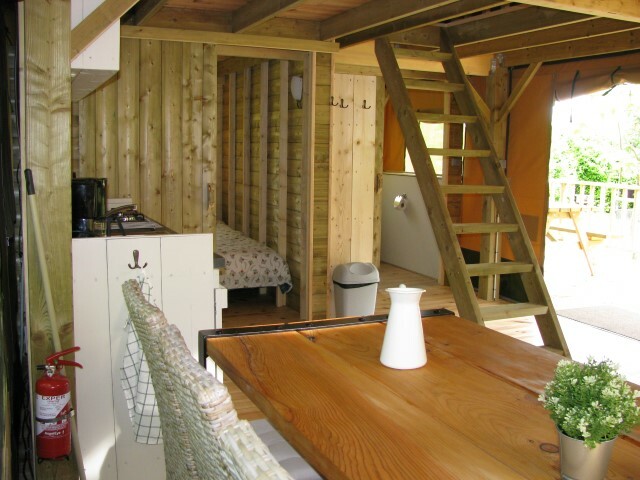 On the ground floor you will also find a bedroom with a double bed while on the mezzanine (1st floor) 3 single beds are available. 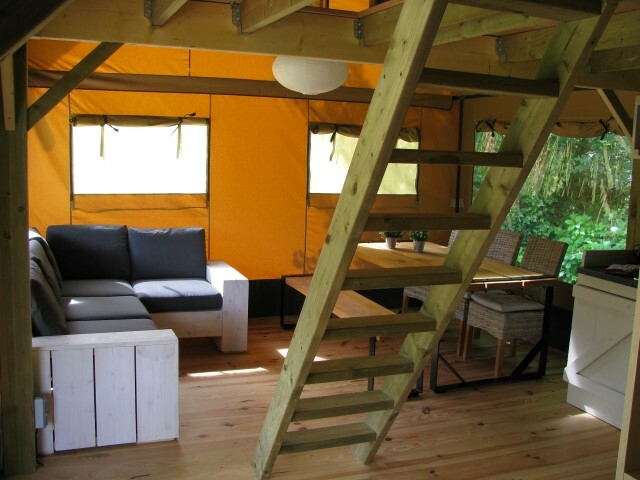 Beds will be made on arrival. 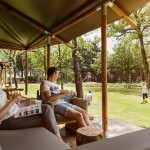 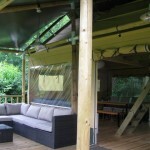 Outside, adjacent to the lodge, you will find a large covered terrace with furniture and a fixed barbecue. 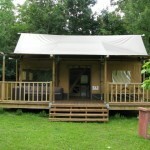 We invite you to come enjoy a relaxed and comfortable holiday in our new lodge.